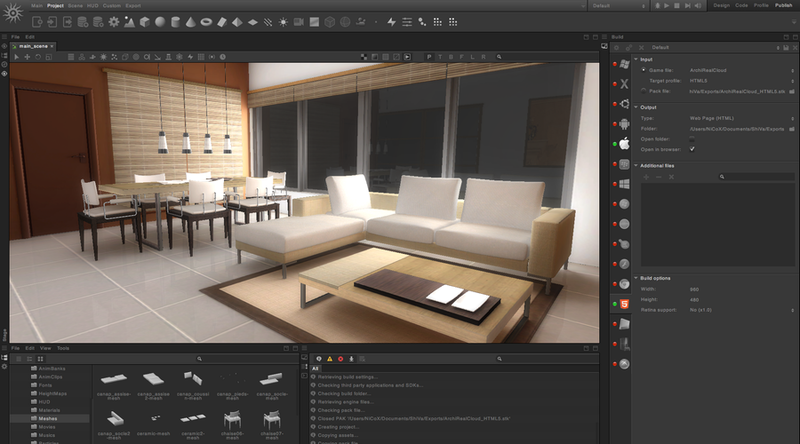 ShiVa Engine – ShiVa 2.0: The world's most cross-platform game engine just got even better. ShiVa can export games and applications for over 20 target platforms, including Mobile like iOS, Android, BlackBerry and Windows Phone, Desktops like Windows, Mac OS X and Linux, Web browsers supporting Flash, HTML5 and our custom plugin, as well as Game Consoles like the Xbox 360, PlayStation3 and Nintendo Wii. There is barely any system ShiVa does not have a port for! 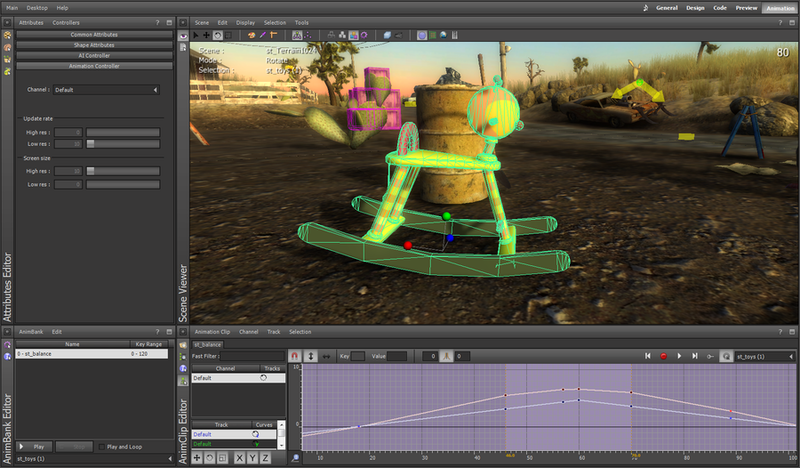 The ShiVa Editor is a WYSIWYG software for designing games and applications. It comes with 21 modules, ranging from terrain and animation editors to material tools and a fully integrated code editor. No matter if you are designing a first person shooter, a racing game, an action platformer, an open world game or a mobile puzzler, ShiVa has the right tools for you on board. This free companion application compiles projects generated by the ShiVa Editor into executable standalone applications for all supported platforms, from Desktops over Mobiles to Game Consoles. Publish your games to a wide range of target platforms in just three steps - cross platform development has never been easier! The Authoring Tool runs on both Windows and Mac OS X. Apple soft- and hardware are required in order to build for OS X and iOS. Dear ShiVa customers and friends, we are hard at work on our new tool, ShiVa 2.0! For the next version of our 3D Editor, we decided to rewrite everything from scratch, in order to give you all the latest features you have been demanding, like a more flexible user interface, full LUA 5.1 support, multicore-support in the editor, customizable shaders, and so much more. All of this takes time, and we have not completed work yet. Until it is done, we are still selling our previous stable version, ShiVa 1.9.2. It goes without saying that every new ShiVa 1.9.2 license we sell includes a free upgrade to version 2.0 once it has been finished. Licensees also get access to our 2.0 beta program, so you can not only help us fixing bugs and give feedback on the new workflow, but also get exclusive engine updates and bug fixes!